Registration includes craft supplies for one ornament. Includes supplies for crafting two ornaments. 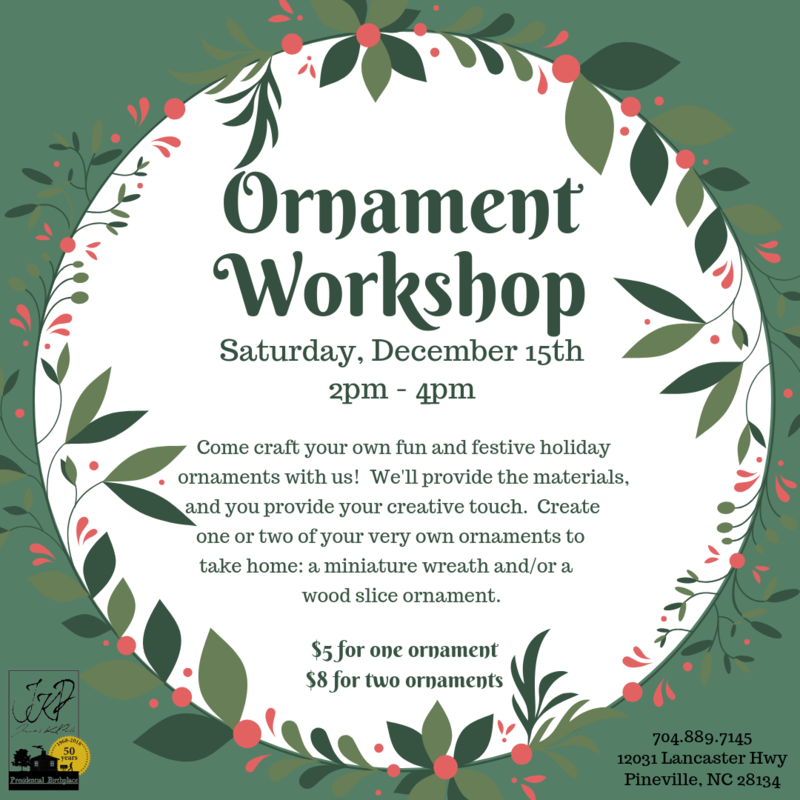 Come craft your own fun and festive holiday ornaments with us! We'll provide the materials, and you provide your creative touch. Create one or two of your very own ornaments to take home: a miniature wreath and/or a wood slice ornament. Keep an eye on our social media for some examples leading up to the event! Pre-Registration will be available, remaining slots will be available on a first come, first serve basis for drop-in visitors the day of. Hours: 2:00 p.m. – 4:00 p.m.